A V-shaped river valley in an arid region with the V shape subsequently partially filled with sediment eroded from above. 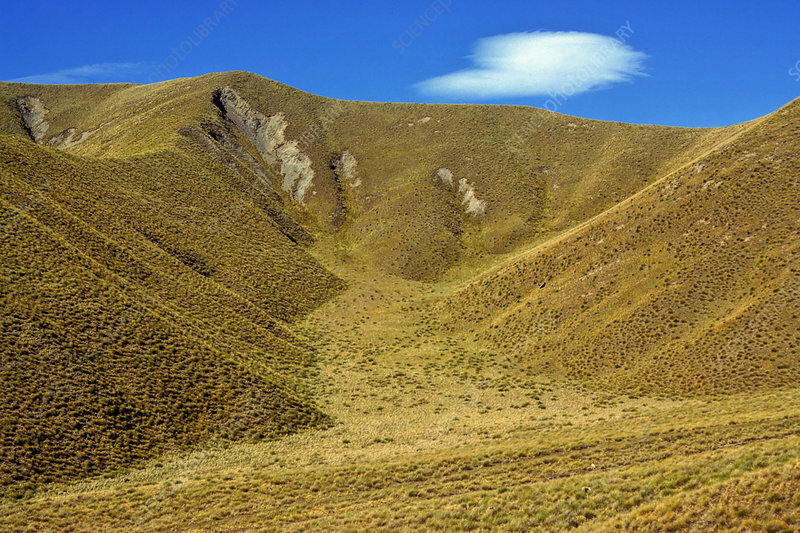 Note the native tussock grass and the lenticular cloud. Lindis Pass area, New Zealand.